There are many reasons to sell your current car and it’s natural that you want to get the best possible price and sell in a reasonable time frame. So all you need to do is put an ad online and watch the offers roll in right? Well, if you like taking calls at 9pm, organising visits from strangers at odd times and sorting through time wasters, then a private sale might be for you. If that doesn’t sound tempting though, then perhaps you could call a few local dealers and see who offers you the best price. However, that might lead to hearing some numbers which are much lower than you expected. If only there was a way to sell your car in a way that was convenient but also lets you get a fair price. The reality is there are many options for selling your car and the best way to sell depends on finding the ideal balance for you in terms of convenience, time-frame and price. They say if you want something done right, you should do it yourself. If you believe that, this may be the option for you. Selling a used car yourself can have advantages. As a private seller, you can park your car on your front lawn and because you don’t have the overheads of a dealer you can undercut them on price. At the same time however, buyers will usually be on the lookout for a bargain when they buy privately because they won’t get some of the assurances that a dealer can offer. For example, you don’t need to provide any sort of warranty and so a buyer will expect a cheaper price than a car in similar condition being bought from a dealer. If you do choose to sell privately it is worthwhile considering what a buyer will expect to see when your car is sold. First of all, it’s good practice to make sure you get a roadworthy certificate. Then the person who buys the car from you knows that the car can be legally driven away from your property and that there won’t be any issue or hidden costs transferring the vehicle to their name. If you don’t want to get one, you’ll be selling the car with its registration suspended. The paperwork alone will take considerable time out of your day and add more hurdles for you to sell your car. Selling a used car on your own also leaves you to arrange advertising. 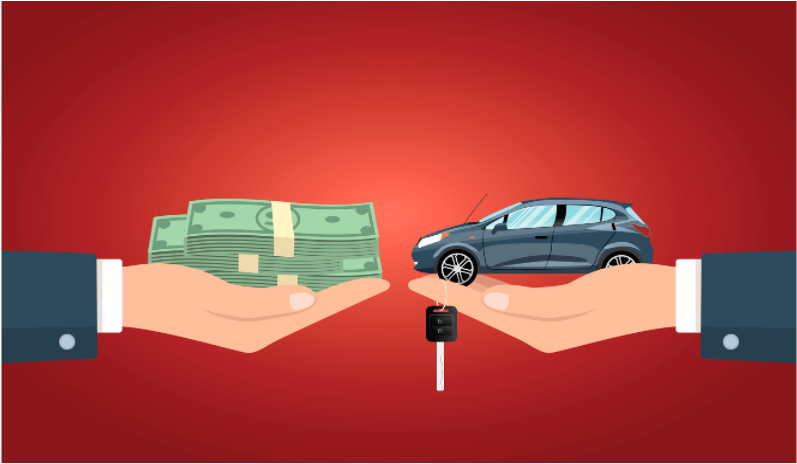 There are quite a few reasonably priced options for listing a car for sale but just be aware that some private sale websites will accumulate fees if your car doesn’t sell in a specific time-frame. Therefore, it can be important that you nominate a realistic sale price for your car unless you are in no hurry to sell and you choose options that don’t accumulate fees over time. Also be aware that as each week and month passes your car is most likely slowly depreciating in value. The next point to consider when you sell a used car is the presentation of your listing. It is an incredibly important factor in getting a fair price for your vehicle and avoiding any conflict at or after the sale. You won’t get too far if the body of your car resembles the surface of the moon and you haven’t let potential buyers know that in your listing. Look at websites for private car sales to compare prices when trying to sell your car online. You’ll need to gauge your asking price based on what information you can gather looking at similar cars. When it comes to setting your sale price there is an abundance of information out there. Be sure to compare based on year, model, and condition. Try and find the perfect intersection between those three factors to set your price. Selling a used car can be a much easier task if you’re willing to work with a dealer. No one needs to know where you live. You don’t have to spend anything up front on advertising. A dealer can advise you on what level of repairs or detailing on the car will be worthwhile to increase sale price. Depending on what needs to be repaired a dealer may even be able to get it fixed cheaper and faster. Using a dealer takes the hassle out of having to plan your schedule around people who are supposed to show up to look at the car, but for some reason, never do. It’s simple, straightforward, and designed to save you a migraine or two. So what’s the catch? What are the cons? You might receive a reduced amount of money for the sale. Both the dealer and the space he’s using need to be paid for. That is not to say a dealer is a bad option. It is simply a value proposition on the time and hassle using a dealer saves you compared to putting in the effort yourself for a private sale. Yes the private sale might achieve more cash for your car but generally at the expense of your time and sometimes inconvenience. It sometimes makes sense to sell to a dealer on the grounds of what it would cost you in time and effort to make the car appeal to a private buyer. Once the dealer takes the car off your hands, whatever happens to be wrong with the car is no longer any concern of yours. If you plan to trade on another car, the results will turn out a little better, especially if you’ve got a model the dealer is interested in selling. If you have a sports utility vehicle to sell, you may want to find a dealer who specialises in them. That may seem like work, and it is, but it’s worth it. You can end up with a better price than if you simply go to an average dealer. Try to trade your car to a dealer that handles that brand, and remember: the more obscure the model you possess, the more advantageous it can be to choose an appropriate dealer. Once the dealer looks at your car, price negotiations will begin. Contrary to popular belief, not every dealer is out to get you or rip you off. When a dealer buys your car they are taking on the risk of having to sell the car and possibly organise repairs and warranty in their time and at their expense. If you are realistic with your expectations a dealer won’t let you walk away from a negotiation. They can help you and will no doubt be keen to do so if there will be some profit for them in making a deal. When you talk numbers with the dealer be firm and honest. Everything should feel above board to you and you shouldn’t feel pressured into an agreement. If something doesn’t feel right, walk away. There are plenty of professional car dealers to choose from who will politely explain their reasoning in the price offer they can make to you. Well, an auction might be able to help you. Auctions do come with their own set of risks, but with some due diligence and a little luck, they might work in your favour. The best thing that auction houses offer is exposure. Long before the bidding happens, people will be able to see your car in person, and in most cases, online. Increasing exposure to potential buyers can mean that far more potentially suitable buyers see your car than you could possibly arrange for on your own. Another great thing about using this option is that it really simplifies the selling process. Instead of haggling with a dealer, you can set a reserve price with the possibility of fetching more than that reserve. If the offers are lower than your agreed reserve, the car doesn’t sell. Auction houses may also be able to help arrange and complete the necessary paperwork for sale of your car if it has outstanding finance. This can save you a ton of time and paperwork. Speaking of paperwork, the auction house will usually take care of it for you, and organise transfer of ownership on your car. Most will conduct a thorough inspection and produce a report on the cars condition, which can give the buyer confidence that a car selling at the auction has had a fair reserve price set according to its condition. At this point you’ll be wondering how many downsides there are to using auction houses. At an auction house, it’s almost essential to have your car registration and roadworthy certificate in order. People who show up at auctions tend to have a rather severe aversion to cars without it. If your car needs a roadworthy certificate, some auction houses can help you there. These houses may even arrange an inspection to certify the car for you. You can let the auction house know what time-frame you have to sell the car and agree with them prior to the sale as to what happens in the event of your car not reaching reserve price. Requiring a fast sale may mean you have to lower the reserve price and possibly bring in less money than you otherwise would. Once again, not all auction houses are the same, so it is well worth some time researching car auction houses in your area before you make a choice. This is especially true if you are selling a customised or imported car or some other kind of specialised vehicle. If you’d rather someone else did all the hard work of deciding where and how to sell your car then you could always hire a car broker. With a broker, you can leave the research and negotiation process to someone else who is working to get the best possible deal for you. It is a simple and convenient system and using a broker gives you the advantage of having someone who has expert knowledge working on your behalf. Brokers also have an existing network of buyers they can contact about your car. They can easily seek offers from a wide area and get your car in front of more potential buyers than would be possible for you, even when you consider the reach you have when you list your car for sale online. Your broker will locate the buyer with the best offer and present that to you for consideration. Thus, you still have the final say on the price that you receive for your car, without the hassle of having to do all the running around. Certainly brokers can usually get you a higher sale price than you could achieve just by approaching a few dealers in your area. 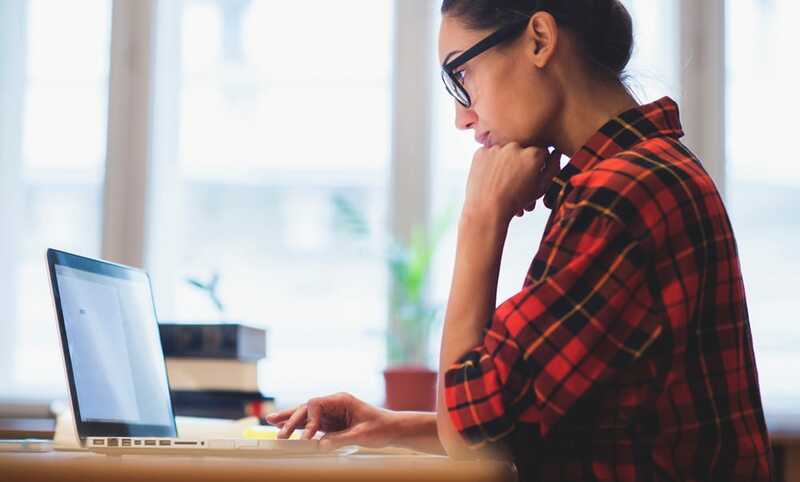 If you are a seller who has the time, knowledge and willingness to seek out a private sale than you might be able to achieve a higher price in some circumstances. The real value offered by a car broker is with convenience and confidence. You save yourself time and money in not having to deal with things such as unnecessary repairs, advertising, talking with time wasters, and handling the paperwork and legal side of the sale. Your broker will handle negotiations on your behalf, ensure that a fair price is agreed and take out the risks from your side regarding correct paperwork and sale process. Working with a broker also gives your car a lot of exposure to serious buyers. This means it is likely to sell faster than it might using one of the other options. A car broker will often have buyers waiting for specific models of cars and will know where they can go to sell your car to a keen buyer for a fair price. Even with the service fees of a car broker, it is possible the sale price is still better than what you could get individually. Transparency is key. Your broker should be completely open about things like service fees. If they can not be completely up front when these questions come up, that can usually be taken as a very good sign to keep looking. You have a right to know up front what the fees are for selling or buying with assistance from your car broker. Plus, a reputable broker will communicate with you regularly to give you all the information you require to make informed decisions. Choosing an experienced car broker with a good reputation will give you confidence that you will receive a high quality service. Car Search Brokers has been a leading provider of car broking in Australia for over 35 years. With offices in Melbourne and Brisbane, Car Search Brokers are well positioned to service capital cities and regional areas along the east coast of Australia. If you haven’t used a car broker before our FAQ section may help clear up any questions which you want answered before you make the decision to go ahead. 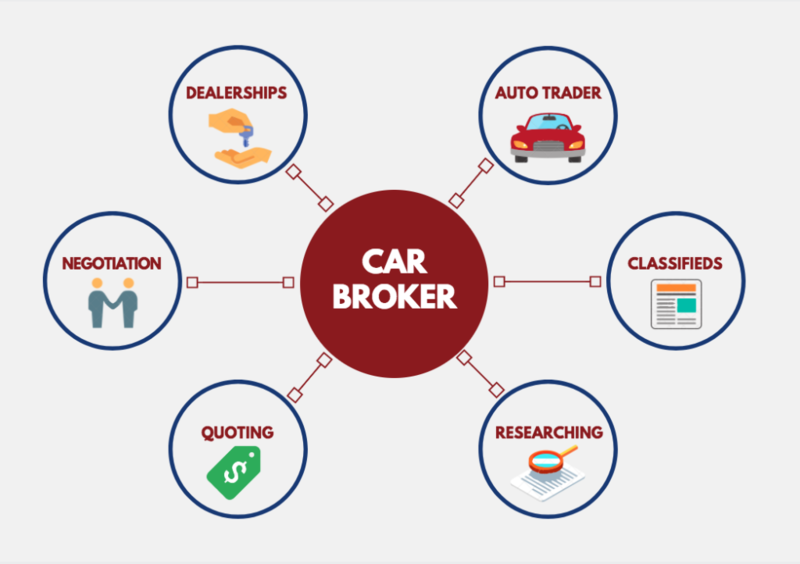 If you were looking to trade in your car, using Car Search Brokers puts you in a very convenient position. This is because our service incorporates both buying and selling, meaning you can eliminate the time and hassle required for both tasks with one easy decision. 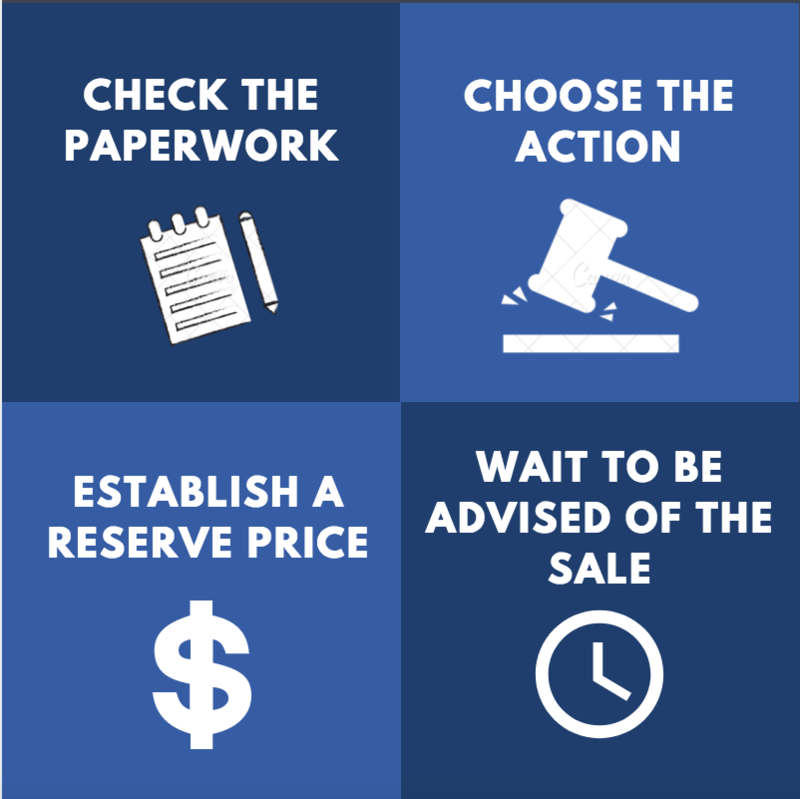 In summary, selling your car doesn’t have to be a stressful, time consuming process. It is simply a case understanding the risks, advantages and disadvantages each option presents and choosing the option that provides the best value for your situation.